Trico's blades will be fitted on many Citroen models. 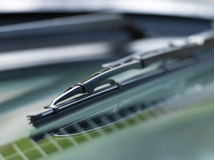 Wiper system maker Trico Ltd. has closed a two-year £1 million (about $1.4 million) deal to supply replacement front wiper blades to Citroen's dealer and repairer network in Europe. The aftermarket wiper blades are for models such as the Citroen Saxo, Berlingo, C2, C3, Xsara, Picasso and Evasion/Synergie. “This is another good win for us in the original equipment spares sector and helps propel us toward our aim of becoming the leading aftersales wiper blade supplier to Europe's OEMs,” Rob Clulow, Trico's business director for original equipment spare parts, said in a statement. The wiper blades will be packaged and branded specifically for Citroen and available at dealerships for workshop replacement as well as to customers to purchase over the counter at parts stores. UK-based Trico Ltd. is the European unit of Rochester Hills, Michigan,-based wiper systems specialist Trico Products Corp., which is one of the assets controlled by U.S. private equity firm Kohlberg & Company.